Listings of high school yearbooks for Haines City can be found below. You will find former students who are seeking yearbooks, those looking to sell a yearbook and general yearbook requests among the Haines City High yearbook listings. This yearbook section was created to help alumni post yearbook classifieds. I would like to buy both yearbooks from the years of 2005 and 2006. I need these yearbooks for a special occasion in a couple weeks. If you let me buy these yearbooks from the years of 2005 and 2006, please reply to me through my email: *****@yahoo.com so I can tell you how you can send me these yearbooks and how I well have to pay for it. Please and thank you for your time. Someone stole the one I ordered and it had so many notes and messages on it. Would love to have a copy. I would like to purchase a Class of 1999 yearbook if anyone has a new or used one in very good condition available. I would like the yearbooks for 1993-1996 school years. Looking for copy of 1985 Yearbook. 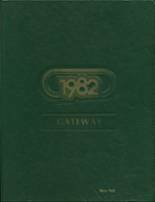 purchase a copy of 1985 yearbook. i graduated in 1979 and have lost all my yearbooks. Willing to buy one if you have it. My yearbook was destroyed. I am willing to pay, even for a copy. 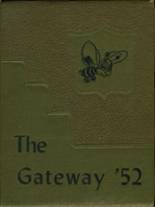 $100 buys this original 1926 "The Gateway", the first volume of the Gateway yearbooks. I inherited it from my aunt and now it's time to pass on to another family. All pages are complete however, the outside cover is tattered along the edges.